Stimulating dialogue and thought-provoking exchange among your peers from across the country. 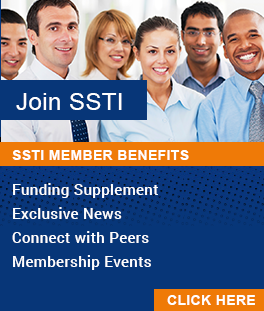 SSTI members receive at least one free webinar per year. Contact Susan Niple (niple@ssti.org | 614-901-1690) to access your complimentary registration.